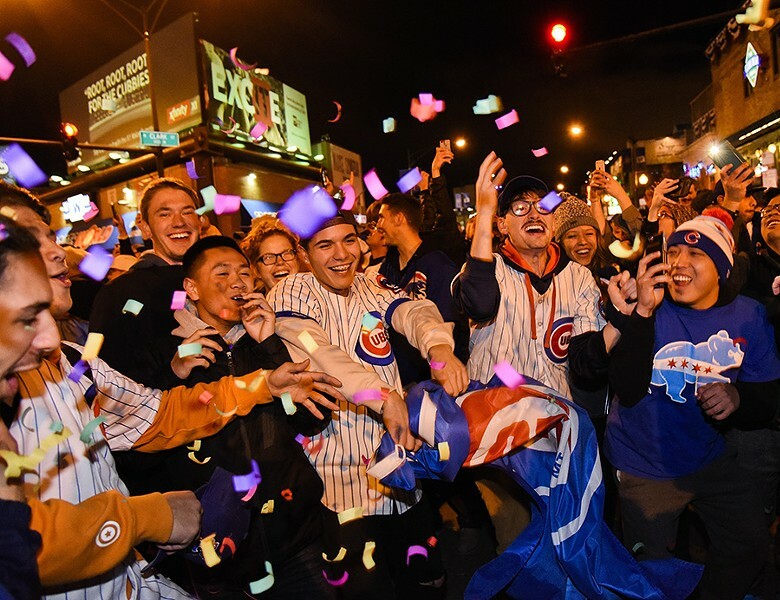 The people of Wrigleyville almost felt like one big happy family during the World Series. While strolling south on Clark Street, I stopped momentarily to peer into the window of one of the neighborhood's sports bars to see what baseball feat had prompted a deep roar from the thousands packed into Wrigleyville on Wednesday night. I stood shoulder to shoulder with a pair of Chicago cops clad in yellow vests who were doing the same—craning their necks to see a TV inside replaying the Cubs' Javier Baez hitting a home run. 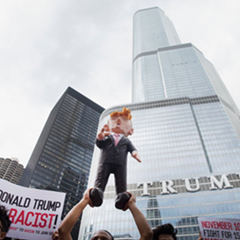 The officer on my right, a fortysomething woman with a gruff Chicago accent, nodded her head toward me: "You seein' this? Unbelievable, right?" "Unreal," I replied. "Are we dreaming?" "If it is, I don't want to wake up," said the officer on my left, a burly Latino man with a laugh that made his bushy mustache quiver. The night of game seven truly did feel like an ethereal dream, and not just because the Cubs won the World Series for the first time in more than a century. It was the communal spirit. On most nights, the blocks surrounding Wrigley Field feel like the Unfriendly Confines—the last place in Chicago you'd have poignant or positive moments of bonding with strangers. 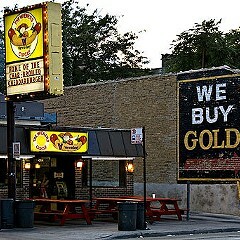 Beyond the standard drunken boorishness, there's an aggressive quality to the bacchanalian spirit of the area that's encapsulated by the biting insults that fly freely at Wiener's Circle, located a mile and a half south of Wrigley Field in Lincoln Park. You go to Wrigleyville at the risk of being shoved, insulted, cursed out, or vomited on—which is why many locals avoided it last night. I asked several people to accompany me and they acted like I said "Mordor" instead of "near the Metro." 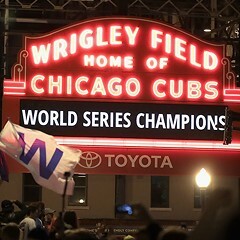 But Wrigleyville felt transformed on Wednesday night—from one giant, insufferable, Axe-body-spray-scented bro bar to a massive version of Cheers, where maybe everyone didn't know your name, but they were happy to know it, or offer you a hug or a high five. It was an infectious mood, palpable all night. The moment I stepped off the Addison Red Line I entered a conversation with two generations of a family headed to Wrigleyville all the way from the western suburbs because "we just had to be here." I got randomly invited to a house party while wandering alone on Eddy Street—a couple of tipsy twentysomethings wearing Cubs gear asked if I wanted a brew and to catch the sixth inning in their two-story flat. When I snaked my way through the crowd back to a spot I had held down to watch the game—a window outside of HVAC Pub—the quartet of women huddled around the glass offered me the vantage point I'd relinquished when I'd left to go to the bathroom. 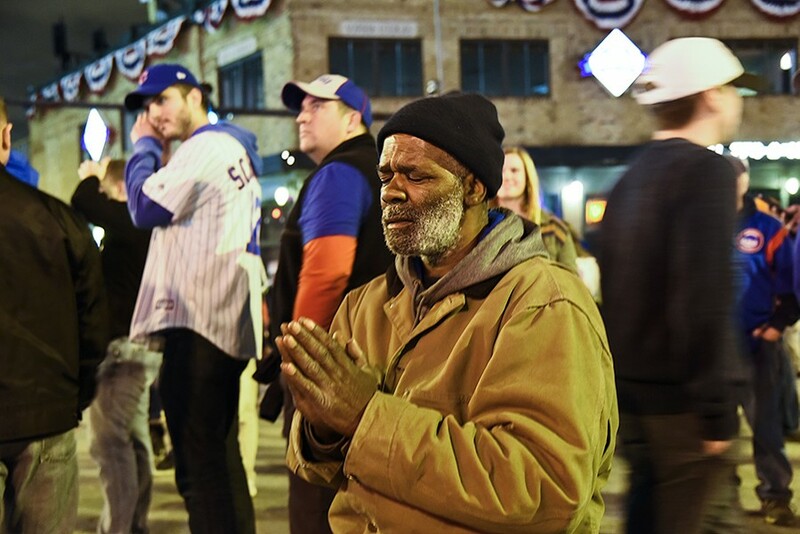 Chicago Cubs fan Wayne Tucker prays outside of Wrigley Field during the World Series. I wasn't surprised to read that only 14 people were arrested in Wrigleyville last night—the drunken mob was the most polite and thoughtful one I've ever been in. That conviviality was evident when we began collectively singing the delightfully cheesy "Go, Cubs, Go" song after David Ross's improbable sixth-inning blast into the far reaches of Progressive Field. Or groaned together and exchanged crestfallen frowns after the Indians' late-inning comeback. 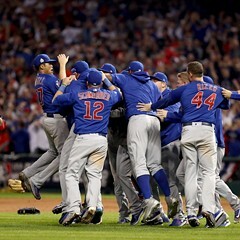 And then, finally, when we wildly danced together in the streets after the final out. And the high fives! My wrist is still sore from all the ones I gave to fans. Surprisingly, I even witnessed moments of quiet devotion: some gathered around the Ghosts of Cubs Past, with heads bowed, saying silent prayers to the statue of Ernie Banks. Will the mood last? Of course not. 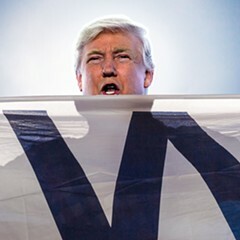 The transformative power of sports is often overstated, and it's naive to believe that this Cubs victory will permanently tame Wrigleyville—once-in-a-lifetime event or not. By next week, the revival-meeting atmosphere will inevitably transition back to ultimate frat-party mode. But let's savor this eternally awaited impossible moment while it lasts. 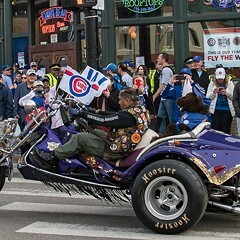 The neighborhood around Wrigley Field feels like, well, a neighborhood for once.